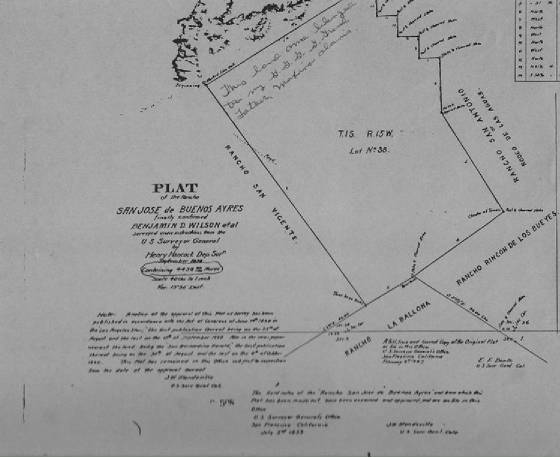 Many documents I'd found on Quintero seem to undermine his contributions to the pueblo. The harsh description of "useless" appears to be of significance to his eventual transfer to Santa Barbara. Three of his daughters were already there having been married to Spanish soldiers before leaving Sonora, so for the family to be reunited was perhaps all for the better. The truth is, at his age he may have found it difficult to adapt to the rigorous farm work at the pueblo. Anyway, I'm sure the soldiers at the presidio were happy to have Quintero available to keep their uniforms hemmed on a regular basis. Romero is a major surname in the Santa Barbara area today and it's where the name comes into my lineage - specifically when Maria Felipa Lugo married military sergeant Tomas de la Trinidad Romero (later listed as farmer on an 1852 census) on 5 Febuary 1826 and had a son, Anastacio Romero, on 21 April 1831. 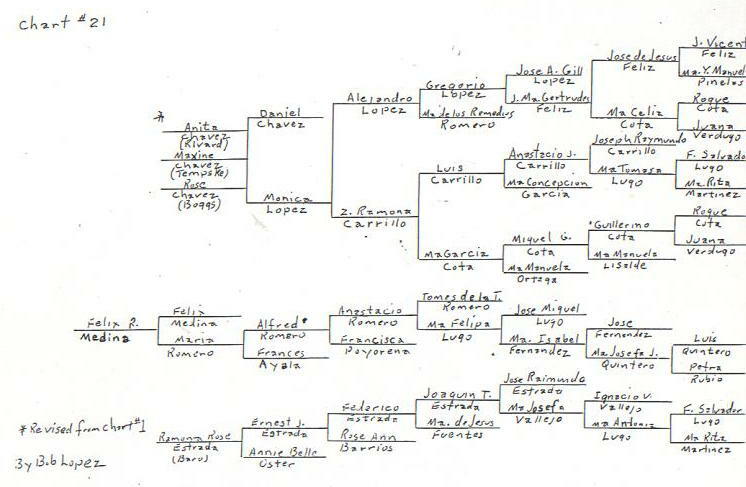 Anastacio is my great-great-great grandfather. 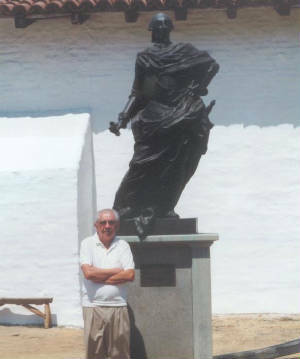 His father Tomas was the grandson of Jose Maximo Alanis, yet another military man who assisted in escorting the pobladores. He ended up owning land in the Los Angeles area that later became occupied by Westwood, UCLA, Holmby Hills and Bel Air. A funny story Felix loves to tell is when he went to the Santa Barbara Mission to meet with Father Maynard Geiger to research the name Romero. He had to wait a few weeks as the father only met with people on certain days. Once there, a secretary directed him to an archive office where he found "this little old man sitting behind a huge desk". 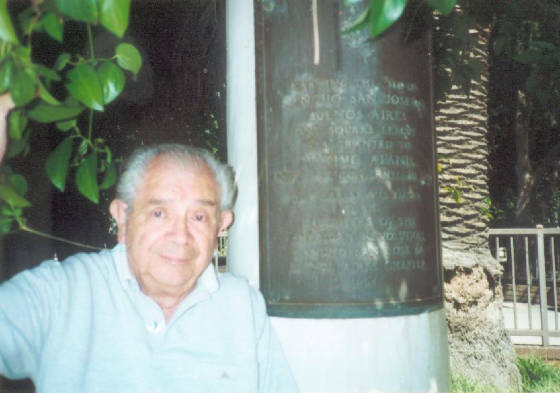 Felix introduced himself as Felix Romero Medina and mentioned he wanted to research Romeros of Santa Barbara, and asked if he was familiar with the name. Father Geiger stood up waving his hands in the air saying, "I'm surrounded by them, I'm surrounded by them!" Felix was given a personal tour of the museum where he got to hold a cross and bible once owned by Father Junipero Serra, founder of the first nine California Missions. 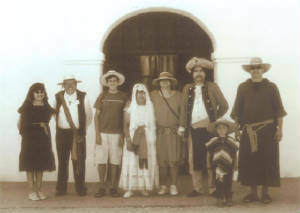 In August 2006, LP200 celebrated with the city of Santa Barbara as participants in their Old Spanish Days Fiesta. One of the events of the annual, week-long festivites includes a parade where we rented a carriage pulled by a mule team. We were all excited that it was televised for the local Cox Cable channel, which meant exposure for us. Anthony and Alex also rode along and got a kick out of waving to noisy strangers along the parade route. 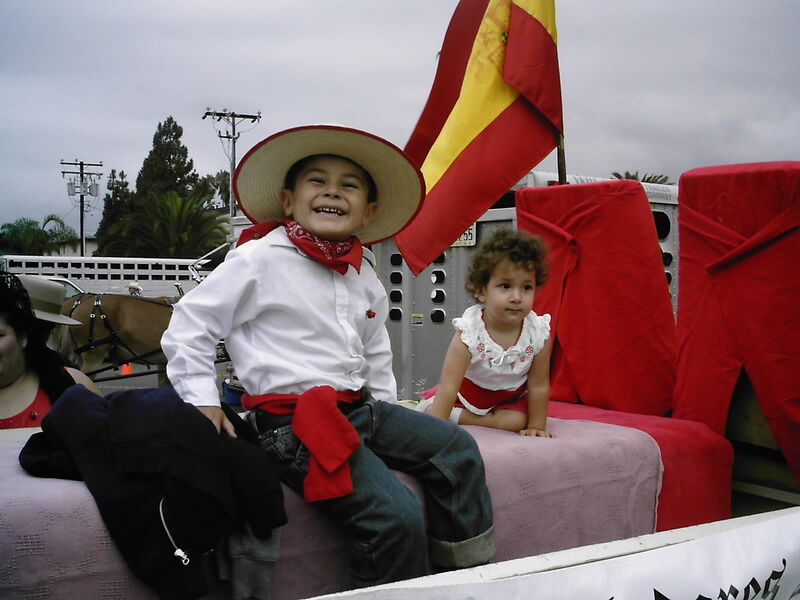 The Fiesta Historical Parade is one of the largest equestrian parades in the United States. Felix and I are also members of another heritage group, Los Californianos, which is an organization that preserves the heritage of the early Hispanic Californians of Alta California. Please visit their web site.